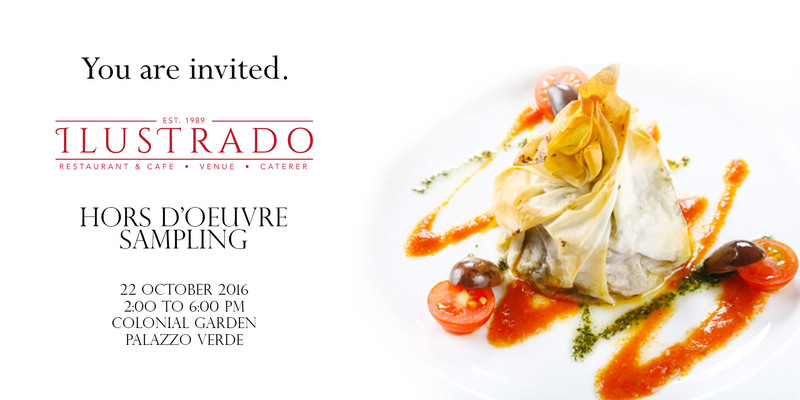 Ilustrado Catering and Palazzo Verde pairs up for an exciting treat! Our featured caterer for the month is popular for its expertise in exotic, cosmopolitan, and neo-classic flavors of international and Filipino cuisine. Back by over 27 years in restaurant experience, Ilustrado Catering prides itself with impeccable service perfected through years of hosting numerous VIPs and dignitaries at the famed Ilustrado Restaurant. 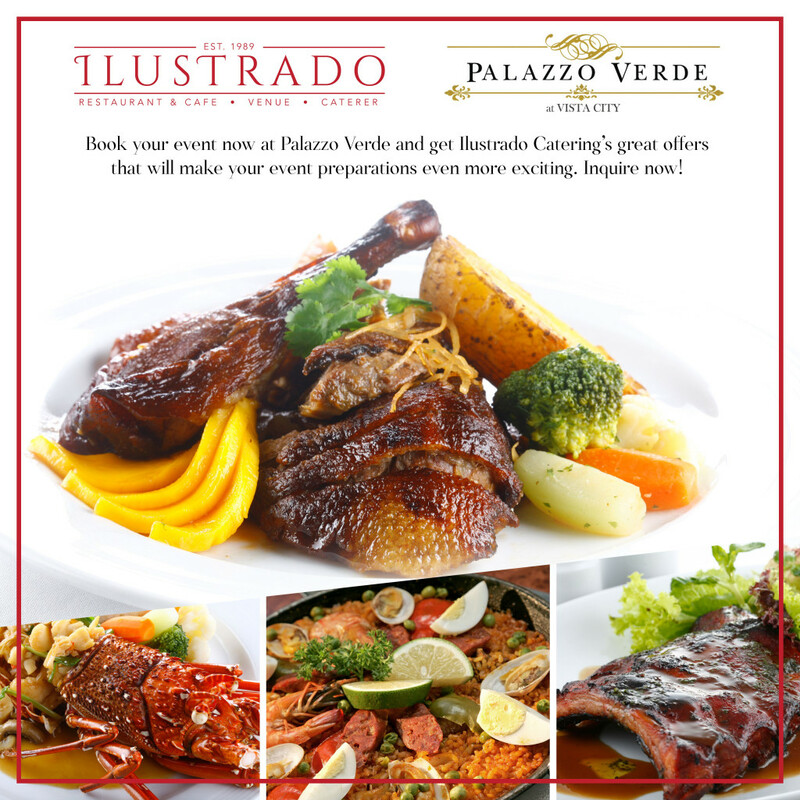 This month, Ilustrado Catering offers a wonderful gift to Palazzo Verde couples.Confirm your event booking with us until October 23, 2016 and enjoy a venue discount with Palazzo Verde, and supplier discount with Ilustrado Catering and Aljoe Mix Lights and Sounds (lights upgrade). Call us now to grab this offer.